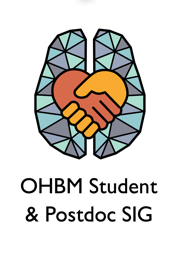 The OHBM Student and Postdoc SIG provides a community of shared interests for OHBM trainees. We provide opportunities for professional, personal and career development and represent the needs of trainees to the OHBM Council and the wider organisation. We also promote the achievements of trainees within the organisation and to the wider neuroimaging community. The SIG organises the Monday Night Social and career development events at the annual meeting as well as running the online, international mentoring programme. Dr Ayaka Ando is a postdoctoral research scientist at Heidelberg University, Germany, with a passion for personalised therapy in child and adolescent psychiatry. She is particularly interested in disorders of personality development and translational psychobiology for child and adolescent psychiatry. Her current work investigates alterations in the brain in adolescents engaging in non-suicidal self-injury using MRI. Her interest for child and adolescent psychiatry began during her work with adolescents, investigating mismatch negativity (EEG) in adolescents who are at ultra-high risk for psychosis at Orygen – The National Centre of Excellence in Youth Mental Health, whose vision is to focus on early intervention with youth specific approaches. During her PhD, Dr Ando was awarded the Australian Postgraduate Fellowship to fund her studies at University of Queensland, where she investigated brain regions associated with respiratory control using fMRI. After moving to Germany, she has continued her collaborations with laboratories in Australia. B. Sc., Psychology (South China Normal University, Guangzhou); M. Ed., Psychology (South China Normal University, Guangzhou); Ph.D. student, Cognitive Neuroscience (University of Hong Kong, Hong Kong). Mengxia Gao is now a PhD student in the Department of Psychology at the University of Hong Kong. Her research focuses on investigating the relationship between the brain connectivity and the cognitive function, using multi-modality such as fMRI, structural MRI and DTI. She currently works on the aging population and depressive patients. During her master’s degree, Mengxia received training in brain imaging and began to find her passion in neuroscience. Her master’s thesis applied the maximum uncertainty linear discriminant analysis (MLDA) method to explore the changes of activity in brain networks before, during and after mental rotation task. In her spare time, Mengxia likes Jazz dance and singing, as well as travelling and hiking, and she has experience in stage performance. Marzia discovered her passion for brain imaging during her Master’s degree in Physics in Italy, when she worked on machine learning applied to classification of DTI scans for Alzheimer’s patients. She is now working towards her PhD in Medical Imaging at University College London in the COMBINE lab led by Dr Andre Altmann. Her research aims at understanding the genetics of Alzheimer’s disease progression and heterogeneity through mathematical modelling, machine learning and statistics. She is also studying how gene interaction networks are disrupted by rare mutations in dementia. Marzia has been awarded the OHBM merit abstract award both in 2017 and 2018, and her work has been featured among the blog highlights of the 2017 OHBM meeting. She is also social media manager for the COMBINE lab, holds a Master’s degree in piano performance and is an amateur fencer. Kaori is a PhD student at the University of Southern California, where she is using kinematics, fMRI and structural MRI to investigate biomarkers of motor recovery in individuals who have chronic stroke. As an advocate of open science and reproducibility, she enjoys participating in hackathons and has implemented stroke neuroimaging analysis software, which have been published and made publicly available on Github. Kaori is a licensed Occupational Therapist, and hopes her work will have an influence on neurorehabilitation. Dr. Leanna Hernandez is a postdoctoral research fellow in the Semel Institute for Neuroscience and Human Behavior at the University of California, Los Angeles. She received her Ph.D. in Neuroscience from the University of California, Los Angeles for her work integrating functional neuroimaging and genetics to understand neurobiological and behavioral heterogeneity in youth with autism spectrum disorder. Her postdoctoral work is funded by a National Institute of Health Neuroscience Blueprint Award and uses longitudinally acquired multimodal neuroimaging and genetics data to investigate how childhood and adolescent neurodevelopmental trajectories are affected by polygenic risk for immune and psychiatric disorders. B.Sc. (Hons), Psychology, James Cook University; Ph.D. Psychiatry, University of New South Wales. Heidi Foo is a PhD candidate at the University of New South Wales where she has been awarded the Scientia PhD Scholarship to fund for her studies. Her current work investigates the neurobiological mechanisms underlying the aging process in the adult lifespan using structural MRI, DTI, fMRI, and genetics. She aims to use machine learning methods to develop a brain age model to predict mild cognitive impairment. Previously, she has also spent some time at the Memory and Aging Center at University of California San Francisco where she learnt to use seed-based analysis in fMRI data as well at the Agency of Science, Technology, and Research in Singapore where she learnt to use optogenetics and functional MRI on mouse models. Chiara received her bachelor’s in Psychology and master’s in Neuroscience from University of Padua, Italy, and then became a qualified psychologist, with the aim of bridging neuroscience and developmental psychology. She is interested in how early experience shapes higher cognition in infants and how the their development is disrupted by early brain injury. Chiara is the President of the Dublin University Neuroscience Society and an associate editor at the Journal of European Psychology Students. B.A, Psychology (University of Haifa, Israel); Ph.D Clinical Neuro-Psychology (University of Haifa, Israel); Postdoctoral fellow (University of Maryland). Navot received his Ph.D. in Clinical Neuro-Psychology from the University of Haifa for his work on the neural networks involved in the empathetic regulation of pain as a means to reduce empathic bias. Now, as a postdoctoral fellow at the Laboratory of Cognition and Emotion at the University of Maryland, he is working with Prof. Luiz Pessoa to study dynamic changes in the neural networks as a function of the competition between different emotions. Navot is interested in studying positive emotions and developing video games as experimental and therapeutic tools. Dr. Nikolaidis holds a PhD from the University of Illinois, where he investigated how brain networks, metabolism, and structure contribute to individual differences in executive function, intelligence, and learning. His work has also focused on understanding how cognitive training drives brain plasticity and improvements in cognition. He was awarded the National Science Foundation Graduate Research Fellowship (https://www.nsfgrfp.org/), which recognizes and supports outstanding graduate students in science, technology, and engineering. Dr. Nikolaidis is now a postdoctoral fellow at the Child Mind Institute (https://childmind.org/), where his current research focus is mapping the brain networks connecting the cortex, basal ganglia, and thalamus and examining how they change over childhood, adolescence, and young adulthood. His work also focuses on understanding how patterns of large-scale brain plasticity in these networks drive the development of generalized higher cognitive skills. B.Sc., Cognitive Science (University of Tübingen, Germany); M.Sc., Cognitive Neuroscience (Maastricht University, The Netherlands - thesis at University of Western Ontario, Canada); PhD student, Neuroscience (University of Zurich, Switzerland). Amelie Haugg is a PhD student at the Psychiatric University Hospital in Zurich, Switzerland. She has a strong interest in the use of fMRI and brain-computer-interfaces for diagnosis and treatment of psychiatric disorders. Currently, she develops a novel real-time fMRI neurofeedback paradigm for downregulating nicotine craving in smokers. For her master’s thesis, she investigated functional connectivity in disorders of consciousness patients during a research stay in London, Ontario, Canada. Amelie has also worked on various research projects at the University of Tübingen, the Max Planck Institute for Biological Cybernetics, and Maastricht University. Natalia received a triple MSc title - in Physics, Mathematics and Psychology - from the College of Individual Interfaculty Studies in Mathematics and Natural Sciences at University of Warsaw, Warsaw, Poland. Next to this, she also obtained a degree in economy, a young MBA certificate title obtained from Warsaw School of Economics. In scientific terms, Natalia has an interest in causal inference; at the moment, she is pursuing research on methods for causal inference and signal detection in functional Magnetic Resonance Imaging at the Radboud University Medical Centre in Nijmegen, the Netherlands. She has a strong belief in a decentralization, and in a world of equal chances: a public access to good quality datasets, computing power, information and mentorship. She believes that a good mentorship should be a state of mind rather than a public function. She joined the new OHBM career development and mentorship program, and she has a deep belief that this initiative can substantially advance careers for young, talented researchers from all around the world. On the personal side, Natalia has a range of hobbies, including dance, hiking, as well as investing in the real estate and in the cryptocurrency markets. B.Sc. (Hons. ), Biomedical Engineering, Cairo University; M.Sc., Biomedical Engineering, Cairo University; Ph.D., Biomedical Engineering (Neuroscience), Kyung Hee University; Assistant Professor, Biomedical Engineering Department, Cairo University; Postdoctoral Fellow, Yale School of Medicine; Postdoctoral Associate, John B. Pierce Laboratory. Dr. AmanPreet Badhwar is a postdoctoral fellow at the Institut universitaire de gériatrie de Montréal (IUGM), University of Montreal, where her research focus is to understand the mechanisms underlying age-related dementias (e.g. Alzheimer’s disease) and develop biomarkers of disease progression by integrating observations from multi-modal, large-scale datasets such as in-vivo brain imaging and ‘omics’ (genomics, proteomics, metabolomics). She holds a PhD from McGill University, where she integrated brain imaging, quantitative proteomics and measures of neurovascular coupling to study the interaction of neuronal and neurovascular damage in Alzheimer’s disease models, and the impact of therapeutics on these two components. Dr. Badhwar was awarded the Canadian Institutes of Health Research Age+ Prize, which recognizes excellence in research on aging, for one of the publications arising from her thesis work. Her scientific vision is to cut across intellectual silos and integrate multiple streams of data to answer big questions in age-related dementias. She is a Canadian Institutes of Health Research and an Alzheimer Society of Canada postdoctoral fellowship awardee, and is a member of the Biomarker team of the Canadian Consortium on Neurodegeneration in Aging. Dr. Badhwar has published in high-impact journals (including Lancet, Annals of Neurology, Brain, and Journal of Cerebral Blood Flow & Metabolism). She is also engaged in public outreach through her involvement with the OHBM Communications Committee, as well as her artistic works, where the topics of brain organization, plasticity, and memory are recurrent. She has held a number of expositions of her work integrating science and art, and has been a winner in The Neuro Bureau Brain-Art Competition in multiple years.